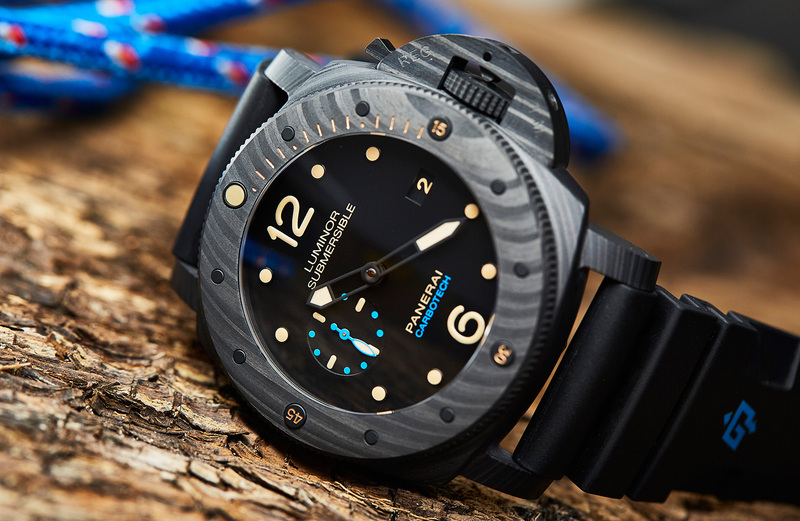 Editor’s note: Few brands have the on-the-wrist presence of a Panerai. Pair that with the futuristic look of Carbotech and you’re onto a winner. Read our review from last year to find out why we love it. 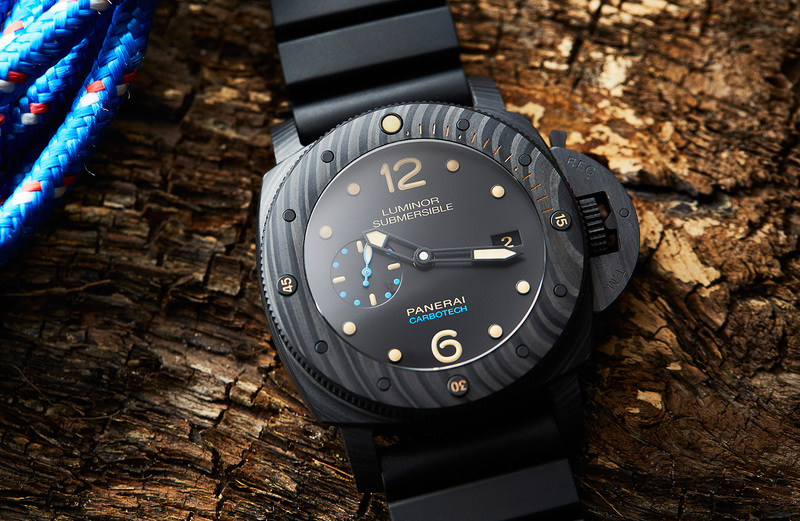 At first glance, Panerai’s watches share a reassuring familiarity — large cases, large crown guards and a dial design that puts legibility front and centre. 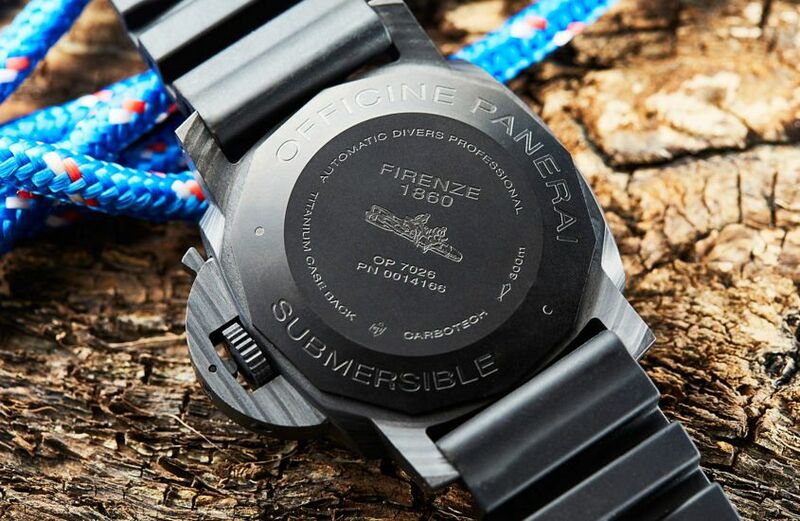 A close look at the catalogue will show that the brand born from its Italian diving heritage has quite a lot of diversity on offer, particularly when it comes to case materials. 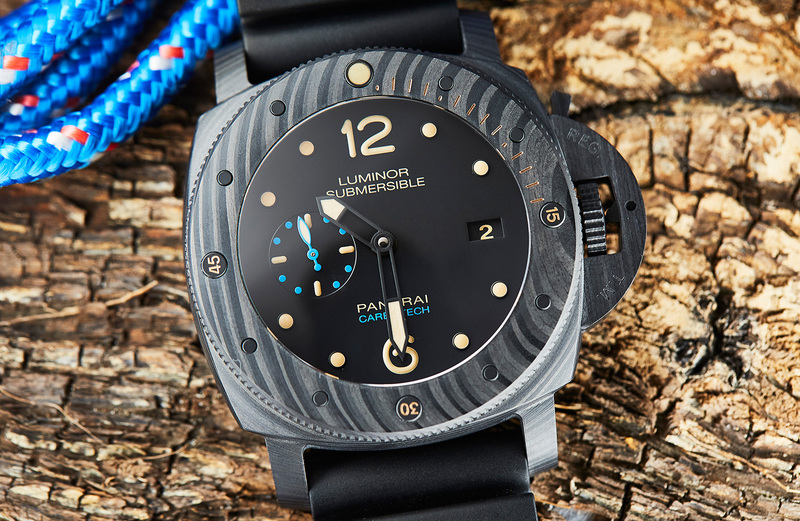 From bronze to ceramic and (most recently) Bulk Metallic Glass, Panerai has strong form when it comes to material innovation. And today we’re having a closer look at one of the most interesting examples from recent times: Carbotech. Before we talk about the case material, let’s step back for a second and look at the bigger picture. 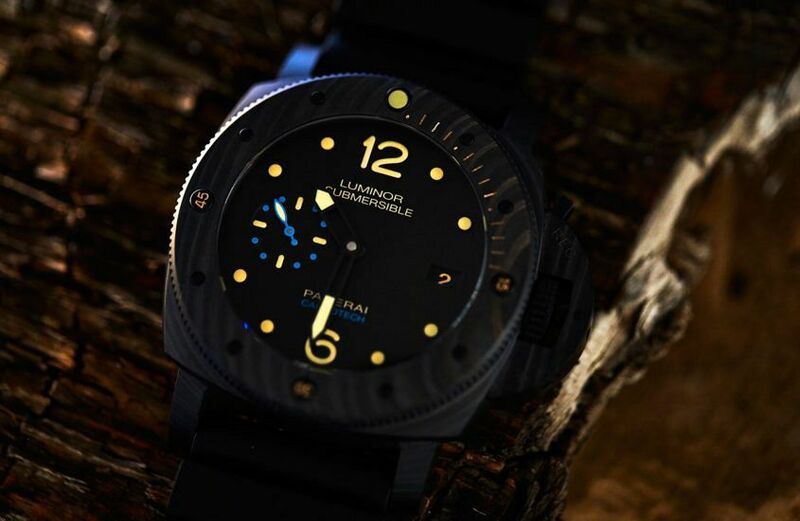 PAM00616 is a 47mm Luminor Submersible, one of the brand’s beefiest cases, good for 300m of depth, and a standout thanks to the solid dive bezel and that patented crown guard. The watch is impressive on the inside, too, with a big P.9000 calibre ticking away, a double-barrelled beauty that’s good for three days of power. 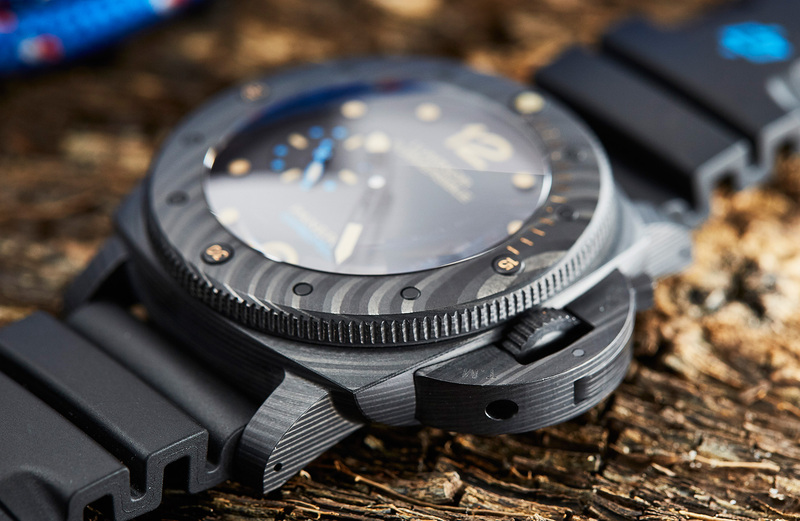 It’s a watch that you might reasonably expect to weigh the wrist down. But it doesn’t. That’s where the Carbotech comes in. Aside from its obvious visual charms, Carbotech is lightweight (the whole package comes in at around 135 grams), very strong and very durable. It also, importantly, looks awesome, like blacked-out tiger stripes. At this point you might be wondering just what Carbotech is, and that is an eminently reasonable question. Carbotech is a composite material made from thin layers of carbon fibre, laminated under pressure with PEEK polymer that binds the layers together. The result of this layering process is that every example is unique. 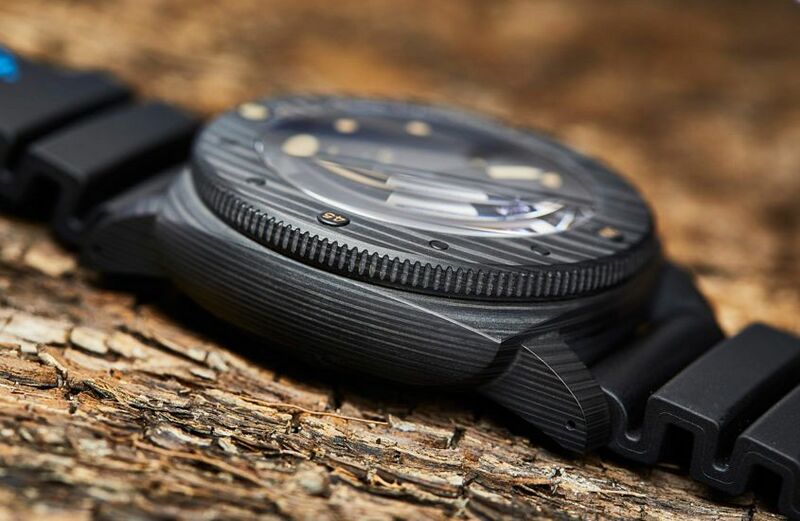 While the functional benefits of Carbotech make it a good choice for a serious dive watch like the Submersible, it’s the strong look that draws the eye. The striation of the case is especially visible in profile and on the bezel, in the form of soft whorls and swirls. Panerai has perfectly accented this material with warm, vintage creamy tones on the bezel and dial — and while you might think this old world reference would be out of place with the 21st century material, the juxtaposition works perfectly. The final note that makes the Carbotech, to my mind at least, is the blue ‘Carbotech’ text, echoed on the small seconds and the OP logo on the rubber strap. With its cutting-edge case and classic design, the Luminor Submersible 1950 Carbotech is a great example of Panerai’s two key pillars: innovation and tradition.